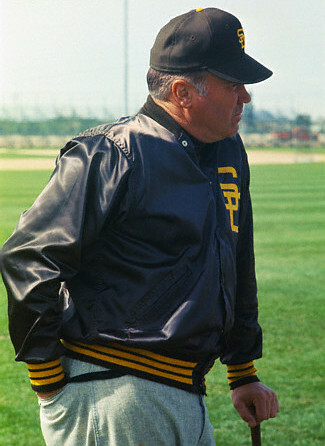 Duke Snider was an announcer for the Padres from their inaugural season of 1969 until 1971. 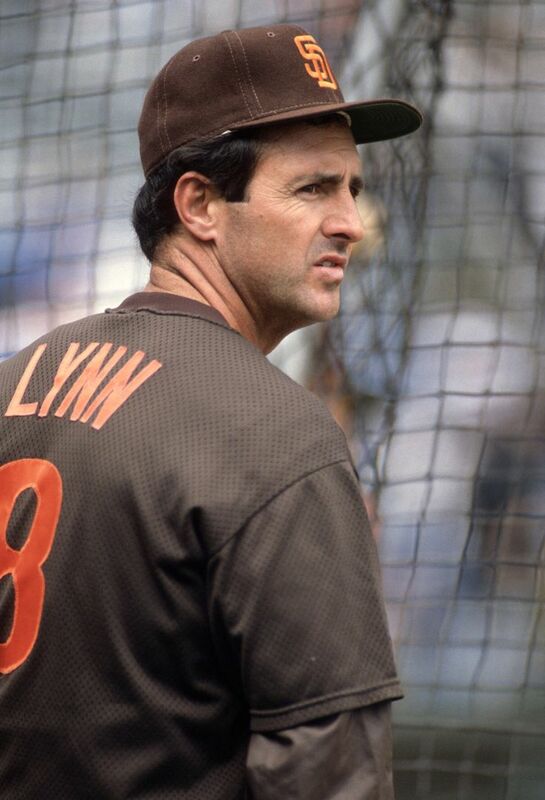 This photo captures the former Dodgers great in a Padres uniform during the team’s first spring training in Yuma, Arizona. As a huge fan of baseball history, I like this photo a lot…even though I’m aware of how weird and wrong it is. With that said, I’d LOVE to own that jacket. 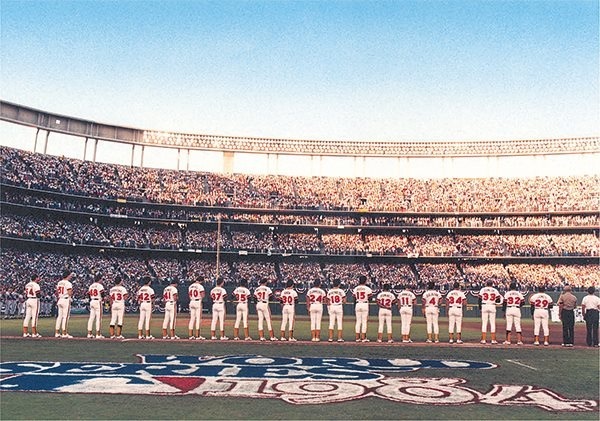 Tony Gwynn, Goose Gossage and Steve Garvey all represented the Padres in the 1984 All-Star Game. 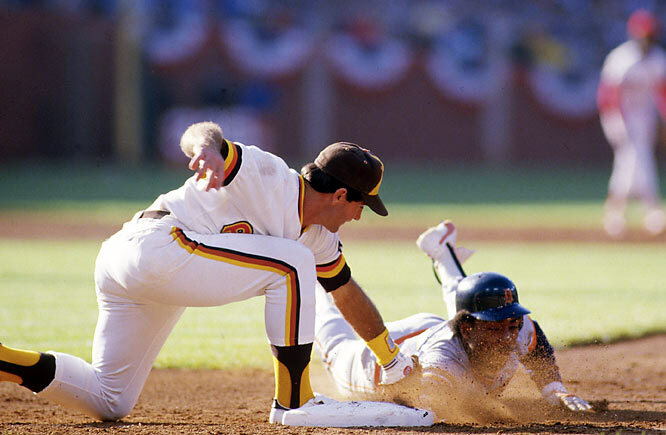 Gwynn and Garvey were both starters and had a hit apiece, while Gossage closed the game with a save. This photo from the second inning captures Garvey successfully picking off Chet Lemon of the Tigers. You can watch the game HERE. Gwynn leads off for the National League and his first at-bat starts at around 17:05, his second at-bat is at 49:55 and unfortunately, I believe his third at-bat (where gets a hit) is cut off. Garvey putting the tag on Lemon is at 37:00 and Goose enters the game at 1:52:23. 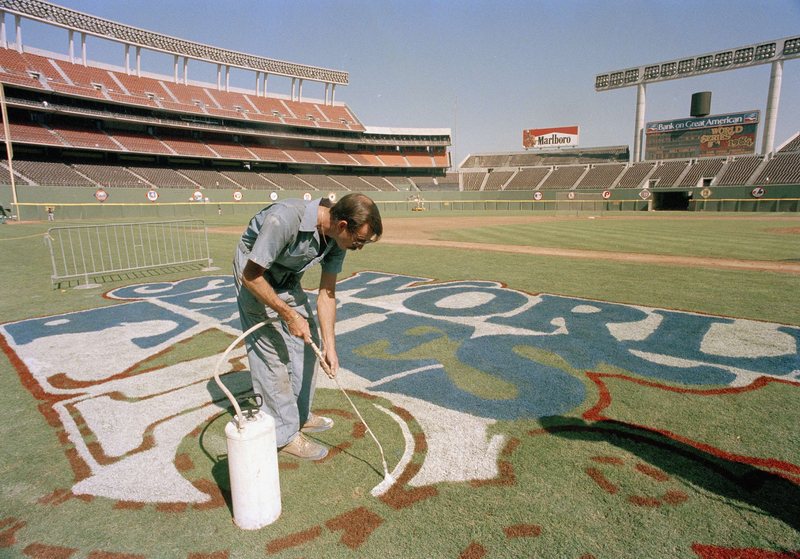 If I get down on the Padres and their lack of success, I can always look at this photo of Jack Murphy Stadium and be reminded that the team has been to the Fall Classic before. While I obviously miss the team being in the postseason, I feel like this photo makes me miss Jack Murphy just as much. Yeah it kinda turned into a dump, but I loved baseball there.